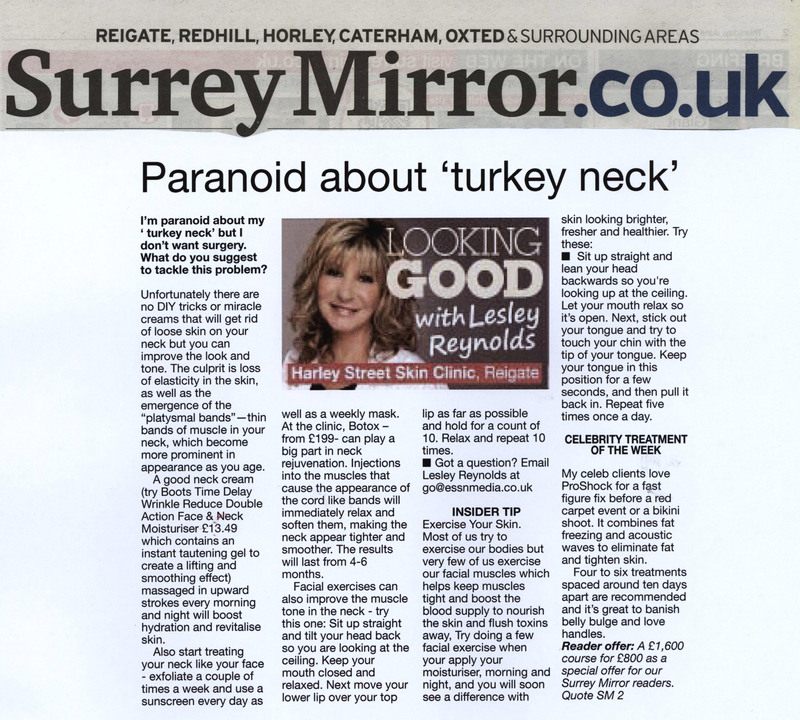 Take a look at my column in today’s Surrey Mirror to find out how to tackle the “turkey neck”. This entry was posted in Ask the expert, Body Beautiful, cosmetic surgery and tagged ageing, anti-ageing, beauty, beauty advice, Boots time delay wrinkle reduce double action face and neck moisturiser, cosmetic surgery, exfoliation, hydration, Lesley Reynold's beauty column, saggy skin, skin, Surrey, Surrey Mirror, turkey neck. Bookmark the permalink.